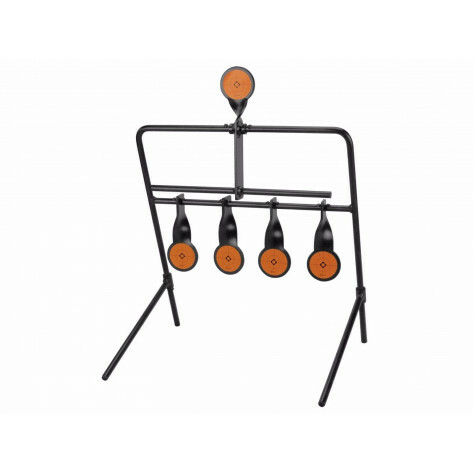 The Caldwell Rimfire Resetting Target are easily portable and create an interactive shooting experience that makes plinking and target practice fun. 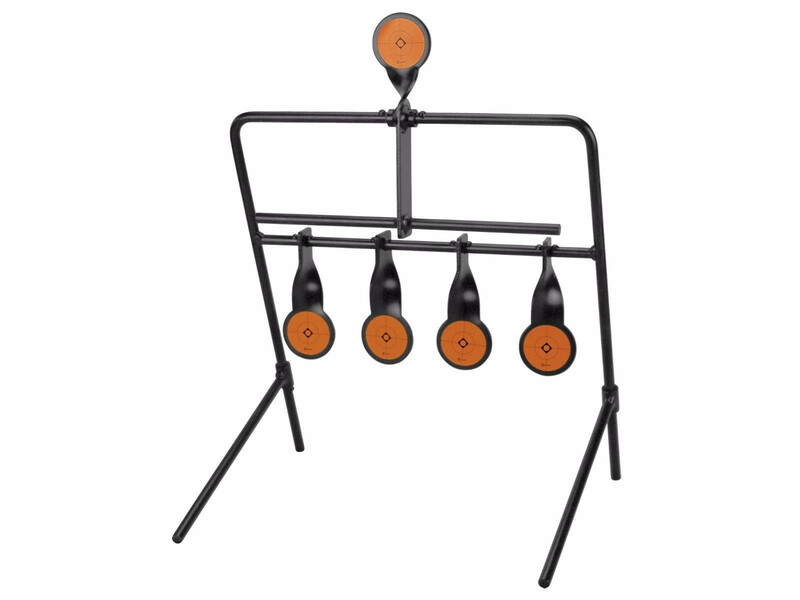 Made of heavy-duty steel, these targets are built to last. All of our resetting targets come packaged in sturdy, partial clamshells. Holes are punched in the clamshells for hanging the product on peg hooks. The rimfire and handgun models are reinforced with zip ties to ensure the heavy product is secured inside.